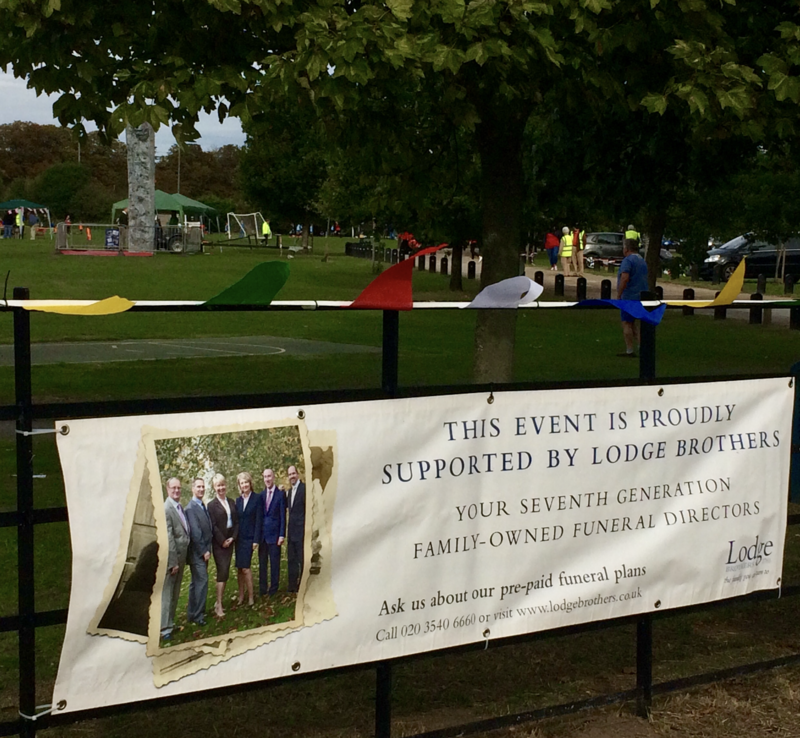 Lodge Brothers of Cobham sponsored some of the entertainment at the Cobham Heritage Day which was held on 8th September. The heritage day is a free fun day for all the family and takes place in Church Street, around St Andrews Church and on the Leg O’Mutton Field in Cobham. The duck race is organised by the Cobham Conservation and Heritage Trust every year and coincides with the Heritage Open Days at the beginning of September. Visitors were able to browse around over 90 stalls and attractions including maypole dancing, bird of prey demonstrations and classic cars and aeroplanes courtesy of the Brooklands Museum. The day culminates with the Cobham Heritage Day Duck Race on the river Mole. Thousands of yellow plastic ducks race down the river Mole from the Cobham Mill to the finish line at Riverhill. The public were able to sponsor a duck for £1 each and the first 28 ducks to finish win a cash prize for their sponsor.